The Mahogany Duns have arrived! Sprinkle in prolific Callibaetis hatches, Fall Baetis hatches and the best Hopper fishing in three years and you have the recipe for a one great fall fishery on Silver Creek! The flows are as high as we’ve seen in a decade, the river looks healthy and clean, the Brown Trout are on the move prior to their spawning season and BIG fish are being caught! If you want to fish the Creek plan on being on the water around 10:00ish in the morning. You may even catch the remainder of the Trico activity as the late emerging Duns are stuck to the water. This is easy pickings for fish and angler alike! The fishing lasts until dark and then it’s time for Mouse fishing. When the Browns are moving up river they tend to eat everything in their path, making the fall is the peak of the Mouse fishing season! The Big Wood continues to impress with Red Quills and Fall Baetis being complimented by excellent Hopper fishing. Expect this action to continue into mid-October and then sporadically into November! The October Caddis should be appearing soon North of Ketchum. This is a small hatch and an isolated one, but it can be very, very good. The Upper Lost is not seeing a lot of insect activity right now, although that could change if the weather cools a bit more. The fishing is still good with small nymphs, Royal Trudes and Hoppers! The Lower Lost is Baetis central and any red colored nymph when the hatches aren’t on. If you go to the Lost this week, keep in mind the road is closed from 8 – 4 during the day as they attempt to cover some of those tire popping rocks! 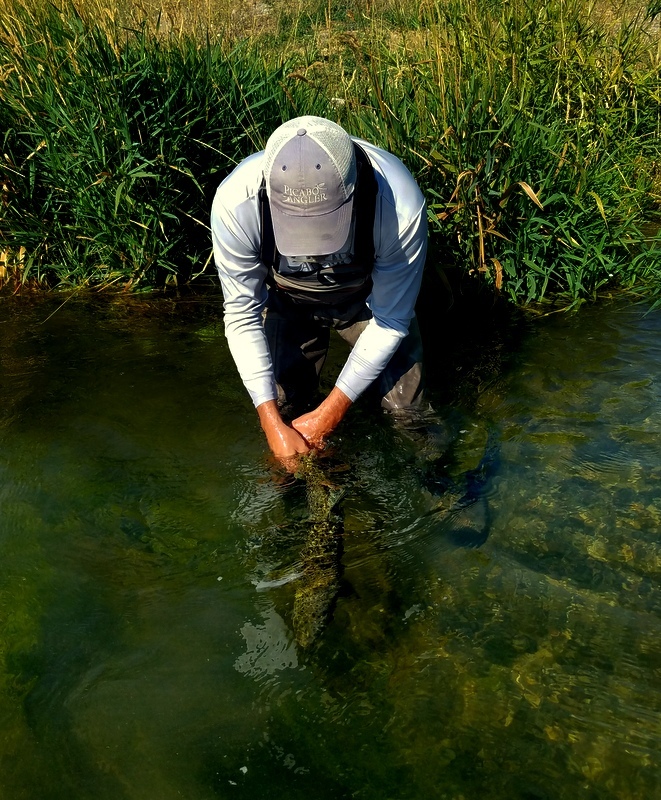 The South Fork of the Boise continues to rock and roll with Fall Baetis. The fishing is best in the late afternoon and often continues all the way into the dark evening hours. If you go, don’t get in a rush in the morning. Take your time getting there and plan to stay late. Pack a lunch and a dinner! Right now everything is fishing great ad the angler numbers are at a seasonal low. Take advantage of this and get out there on one of these spectacular Fall days. Bring your camera and load your fly boxes. 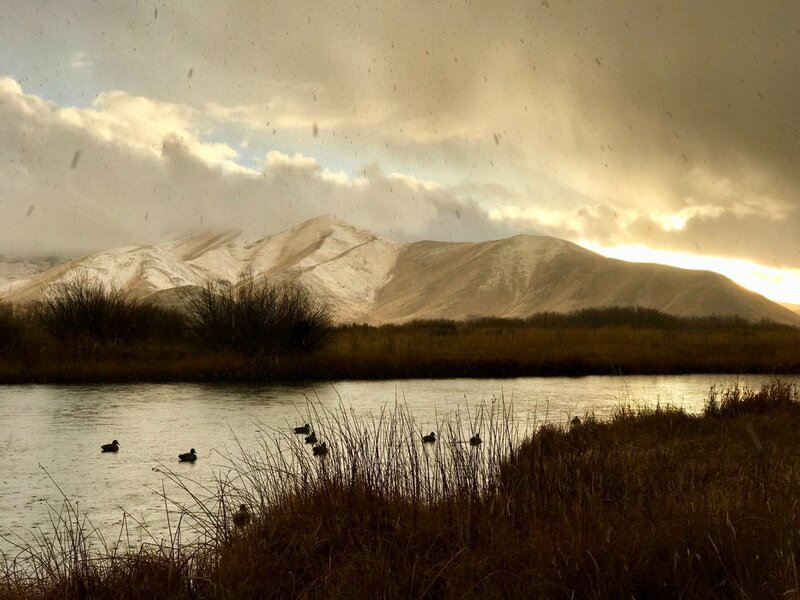 This is among the best two week stretches of fishing you will find in the Sun Valley are all season! A cooling trend is coming which may spell the end to any significant summer hatches that are left. It is time for the fall bugs! We may have to fish our way through a few weeks of transition, but fall is in the air and the bugs that come with it make for some if the seasons best fishing! On Silver Creek, expect to see a drop off in the Callibaetis activity as well as Trico in the mornings. In the late summer and early fall we do experience a Trico condition where the air is not warm enough for them, but they try to hatch anyway. The end result is insects that normally would hatch in the dark are out in the mornings and stuck on the water. The fish key on this quickly and take advantage of these easy meals without the ability to fly away. So don’t put your Trico box away just yet! Expect Hopper action to continue and be strong. The colder it gets and the less energy the Hoppers have, the more susceptible to fish they become. Baetis action should stay strong and even increase as we near the massive Fall Baetis hatches. Now is the time to stock up on Fall Baetis patterns as well as Mahogany Duns. Mouse fishing continues to get better and better as the Browns start their spawning run. They are displaced, angry and voracious as they try to pack on the calories before they spawn. Expect the Big Wood to start fishing better during the day. The cool mornings and evenings will start pushing the peak activity to late morning and afternoon. Expect fish to start moving into the slick water and tail-outs of the biggest pools. The Upper Lost should see much of the same conditions as the Wood, with a focus on Flying Ants. On any given day this time of the year, the Flying Ant can become the most important fly in your box. The Lower Lost is still in the middle of Trico madness, but that could begin to wane with the cooler mornings. The South Fork of the Boise continues to flow at driftboat levels and Hoppers, Ants and Beetles are great choices fished both dry and drowned. The Pink Albert is day to day, but this hot weather bug should also get knocked back by cooler days. Fill your fly boxes with tiny Baetis, Mahogany Dun and Western Red Quills and you’ll be ready for the coming attraction! Photo taken recently on the Salmon River by one of our guides.